Pamela is chief operating officer at 99designs global design platform, where she leads global marketing, global customer support, investment & analytics, the high-value customer team and U.S. people operations. She is responsible for delivering annual revenue goals profitably as well as managing teams and operations based in Melbourne, Berlin and the San Francisco Bay Area. What are the trendiest colors in retail today, and what should you consider if you’re a retail brand looking to launch or rebrand in the year ahead? Given the ridiculously broad array of types of businesses in the sector—from DTC to brick-and-mortar, from luxury fashion boutiques to department megastores, supermarkets, drugstore, niche specialty shops and more—the answer is not simple. Which is not to say brand colors aren’t important in retail. In fact, quite the opposite: Colors for retail stores allow you to show the world what kind of store you are and what separates you from competitors. A quick glance at your logo, website or in-store decor can tell a shopper what style, price range and personality your products offer just by what colors are prominent. What’s more, retail color selection is more than just aesthetics—the right colors can actually help close a sale. Interestingly, however, most small retail businesses don’t actually invest a ton of time considering the research behind the emotional effects colors can have on people and how these correlate with desired outcomes and customer behavior. In fact, in a recent poll of small business owners, 65% admitted “personal taste and preference” was the single biggest factor in choosing colors for their logo. Last year, 99designs analyzed 14,000 logos and specifically 600+ retail logos and branding projects created on its platform, looking at both the most popular colors selected compared to the most popularly desired brand attributes, as well as how these compared to the colors of industry-leading retail brands. Below are a few of the highlights from the resulting report, followed by advice on how to use this information to make informed color choices for your brand. Blue and red are the most popular colors among 99designs’ retail customers, and black and white were the most used secondary accent colors, showing up in 40% of the logos analyzed. Across retail industry leaders specifically (not just 99designs’ customers), red was the clear favorite, used by 59% of the largest retail brands such as Target, Macy’s, Ace Hardware, etc. Brown, purple and pink were the least common retail color choices, which is not necessarily surprising given the divisive nature of these shades. 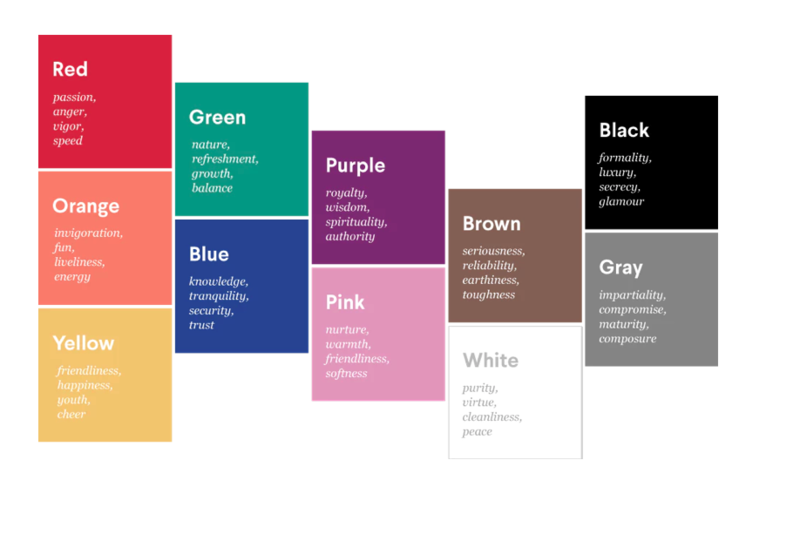 However, for specific audiences whose demographics respond favorably toward the emotions these hues evoke (e.g., pink/purple for youth, femininity), embracing these colors makes a ton of sense. 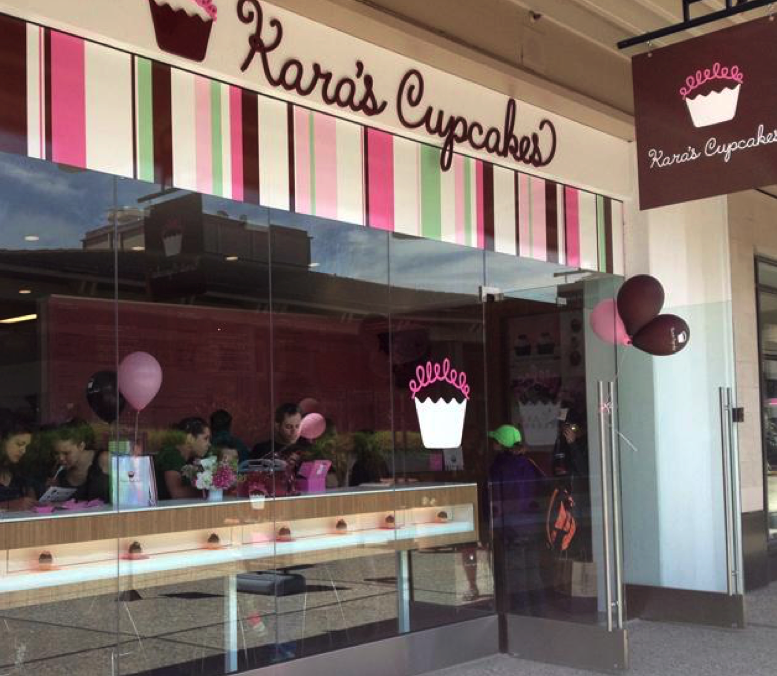 Take San Francisco-based cupcake store chain, Kara’s Cupcakes, which features a bold palette of brown, pink and light green, or Benefit cosmetics stores, swathed in bright pink; both of these brands capitalize on more niche brand colors to specifically target their customer base. Retail businesses on 99designs consistently indicate a preference for colors reflecting a youthful appearance in their creative briefs, for example red, orange and yellow. However, aside from red, many of these typically “youthful” hues can also be controversial, as noted above, with strong appeal to certain demographic groups and repellent to others. 1. Gender: Is my brand traditionally masculine or feminine? 2. Tone: Is my brand playful or serious? 3. 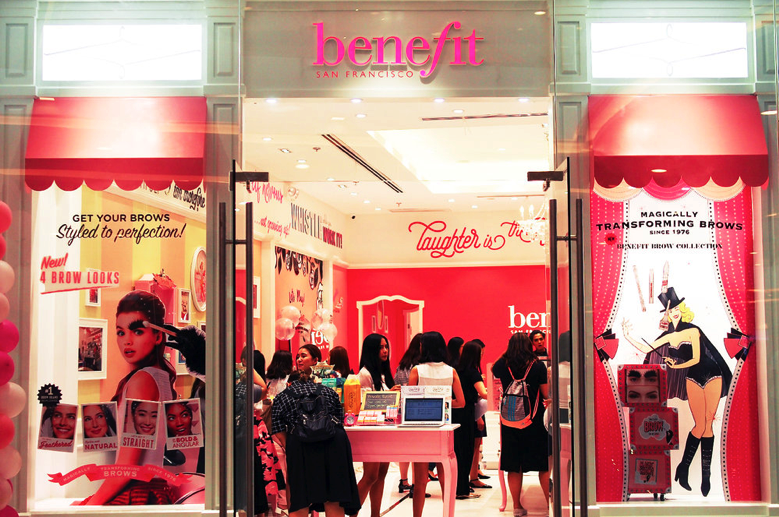 Value: Is my brand luxurious or affordable? 4. Time: Is my brand modern or classic? 5. Age: Is my brand youthful or mature? 6. Energy: Is my brand loud or subdued? Considering the logo color choices of two major U.S. chains—Walmart and Trader Joe’s—illustrates how these choices can play out across your brand. Walmart, which targets the general population with a value proposition of lower prices, uses a palette of blue and muted yellow. Blue is a welcoming color, so if you’re targeting the general population, it’s a smart choice. The darker shades of yellow, as well as some shades of orange, denote affordability and inexpensive products. In contrast to Walmart’s logo, popular grocery store chain Trader Joe’s seems to skew slightly more to younger shoppers—or shoppers who want to feel younger. This is clearly evident by the playful typeface and heavy use of the color red, the most youthful color according to most psychologists. Tip 3: Seek out less popular hues evoking the same desired emotions as appealing to your demographic with the tried-and-true choices (i.e. red, blue, black and white)—especially if you’re a smaller niche brand looking to stand out from the crowd. Don’t be afraid to break the rules. Even the unpopular colors like brown—the weakest association to the “youthful” retailer trait—or less-used colors such as orange, can still have their moment, depending on what you’re selling and to whom. For example, luxury apparel brand Burberry introduced a new logo and brand identity last summer with an unusual palette of tan, dark orange and white that’s already stirred up quite a buzz among the fashion elite.